Instagram holds the reputation as one of the best photo sharing apps, but it has long been preventing users outside of the mobile world from using the app. While you can connect your Instagram account to Facebook, Twitter and a few other social media platforms, you still can’t save the photos in your PC. After installing the software, which you can download from https://www.4kdownload.com/products/product-stogram, you have the option to use the free unactivated version or buy a license key. I recommend purchasing the premium version for those who want to download photos from multiple users. The unactivated 4K Stogram version limits your access to only two users. 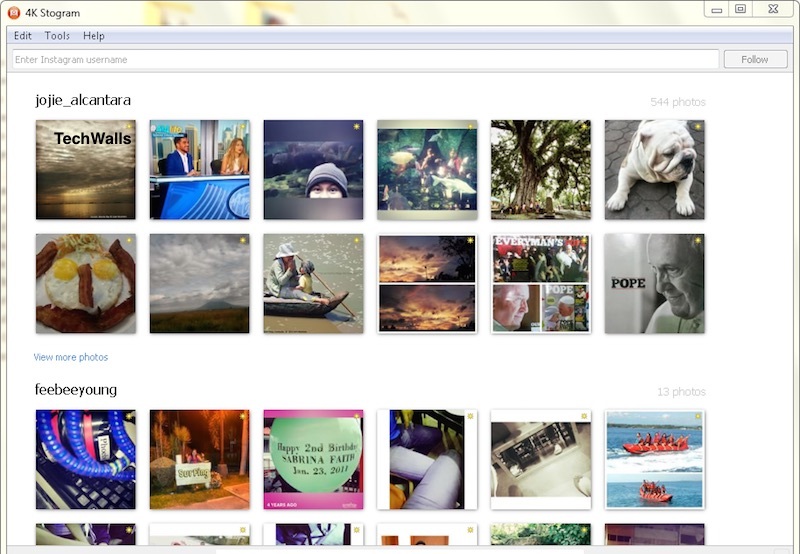 But you will be able to save photos from other users by removing an existing user from your list of two and so on. It’s a simple, one-step process and anyone, whether tech-savvy or not, can use the app without a hitch. The process involves only one click. 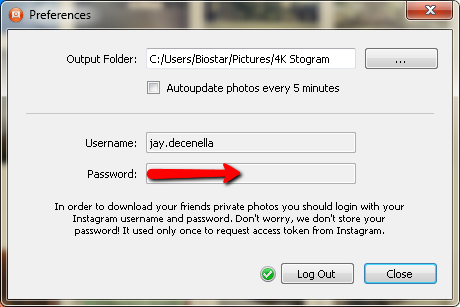 Just enter the username of your friend or some other private user into the topmost field and click “follow.” 4K Stogram then scans the public and private photos of a particular user while at the same time downloading them to a pre-set folder in your hard drive. The download process runs smoothly, as if the file size of photos does not matter. But be careful when downloading the photos of private users, as you might intrude their privacy. Make sure you won’t violate the copyright of other Instagram users. It can be quite hard to figure out how to stop the download, as you might want to since the process takes a long period if the user in question has shared thousands of photos and videos. To temporarily halt 4K Stogram’s download process, hover over the username and a stop button will appear beside it. Click on the button and view the photos download thus far. The windows will display the images that are synced with the folder in your drive which stores the photos. In order to view the saved photos, click on the folder button to the right of the stop button beside the username.